Acquiring Vocabulary for Young Learners | So, You Think You Can Teach ESL? If learning English seems very challenging, break it down into smaller tasks. For example, your child/student shouldn’t try to learn lots of new words in one go. Instead, they should focus on learning a few new words every week. They will be much more likely to remember them! Here are some ideas you can try at home or at school. Download Cambridge English Assessment free Pre A1 Starters, A1 Movers and A2 Flyers Word List Picture Books. 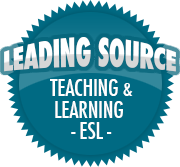 Download Cambridge English Assessment free vocabulary lists for A2 Key for Schools and B1 Preliminary for Schools.